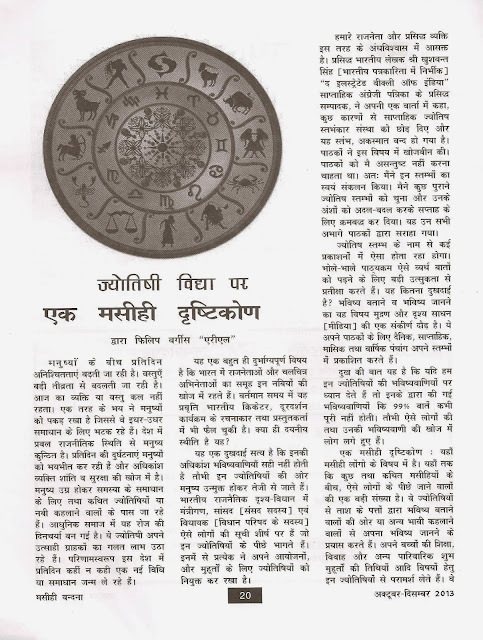 Read The Hindi Translation of my article Astrology: A Christian Perspective in the latest edition of Back to the Bible’s Hindi Magazine “Masihi Vandana”, Published from New Delhi. 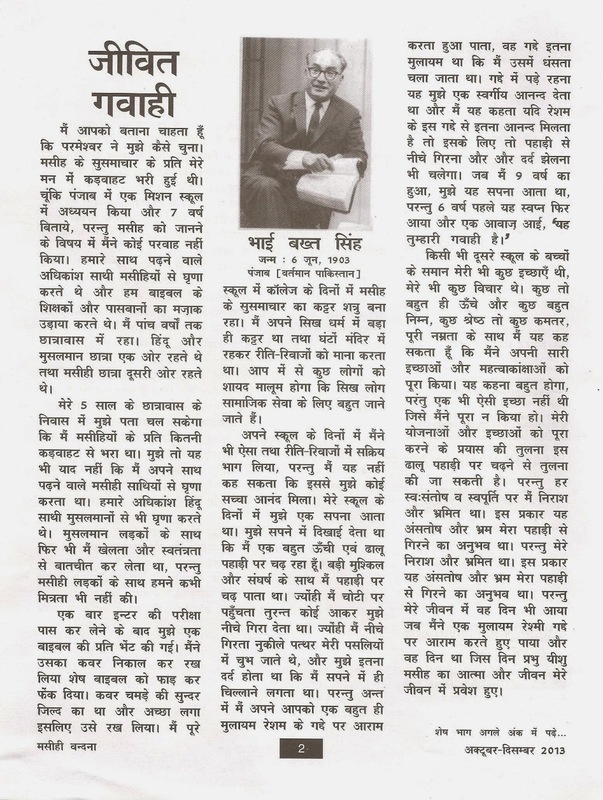 An Article Written by the blogger P V Ariel. 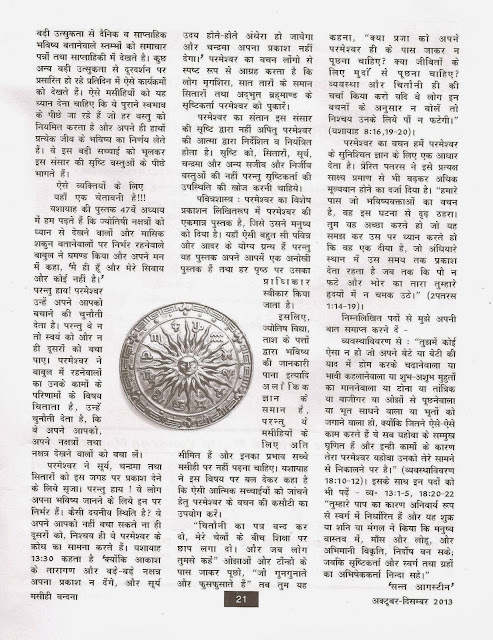 Our language is hindi, should be use and thank to all confident living magazine member to give us great plate form for read magazine in hindi. Thankshanks for sharing this information, have shared this link with others. 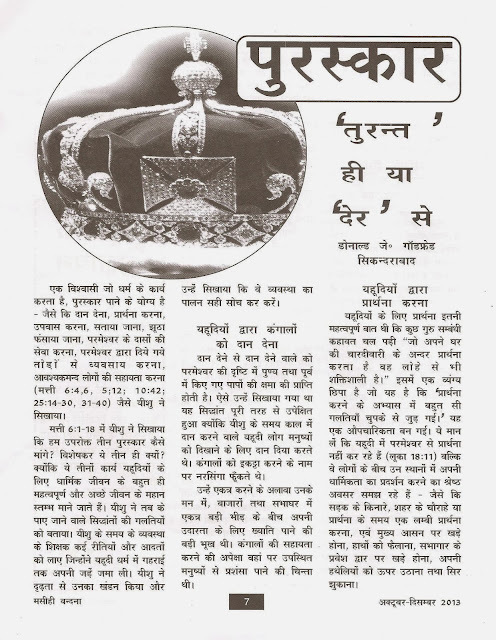 Keep posting such valuable information..